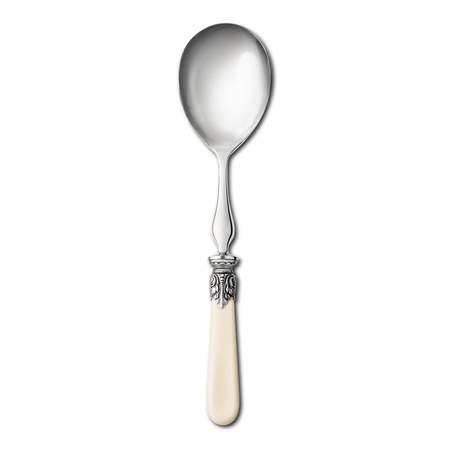 Dine in style with the elegant Antique pattern that includes a unique knife design which was created by Newbridge Silverware in 1933 using centuries-old Irish craft techniques. This smooth, cream-coloured handle is offset with an ornately patterned ferrule. The Newbridge Silverware Antique knife is contrasted with stylish complementary items to enhance any dining occasion. The Newbridge Silverware E.P.N.S cutlery collection is distinguished by wonderful craftsmanship, detailed finishes and superb quality materials making the salad spoon an excellent choice for the perfect table setting.